A short drive away from Gorgoes, on the road from Sao Bras de Alportel to Faro, I find the little village of Estoi. The village itself is nothing spectacular, but the surroundings are rich in culture. As soon as you approach the village through the main street, you find on your left the Ruins of Milreu. 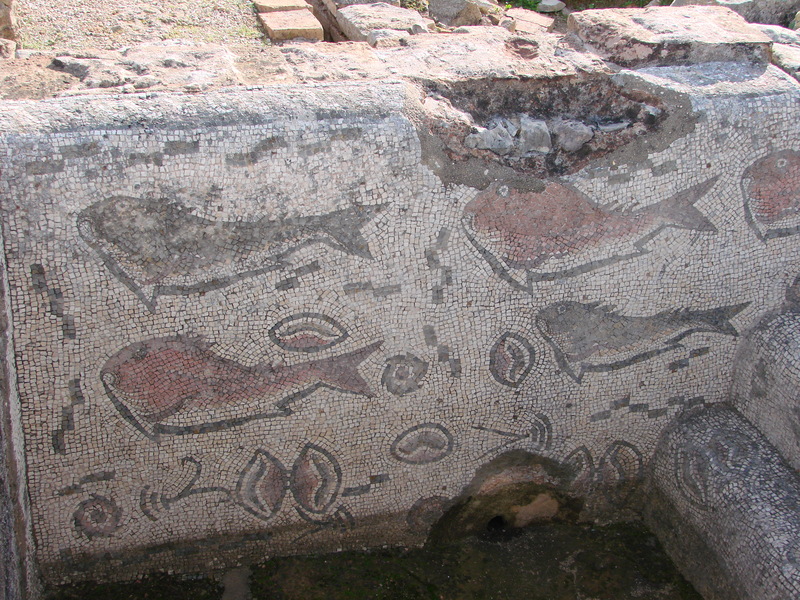 Those are the excavations of a farm house, temple and thermal baths of rich Roman people in the early centuries. It is worth a visit, but many people just pass by. The entrance fee is only 2 Euro! On this beautiful sunny morning, I am again the only tourist, although there are many foreigners wandering around the Algarve in this time a year. After this visit, I enter the village to find the way to the Palacio, from the former Earls of Estoi, which is now turned into a Pousada (a hotel). It is situated higher up the hill and you have to drive around the village and turn into a very small street to reach it. Even non guests can walk into the old building and stroll the gardens. The hotel itself is situated in a wing, but the main entrance is in the Palacio. 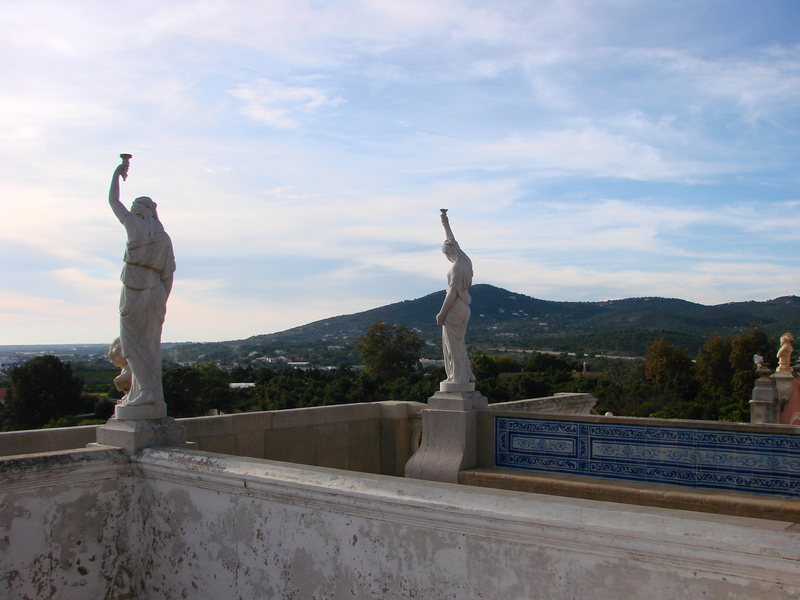 Here you also can have a peek into the wealthy dining and library rooms, but the most spectacular are the gardens with the fountains, the statues, the mosaic and above all the view. Muito bom post . Ꭼu definitivamente apreciar еste site.